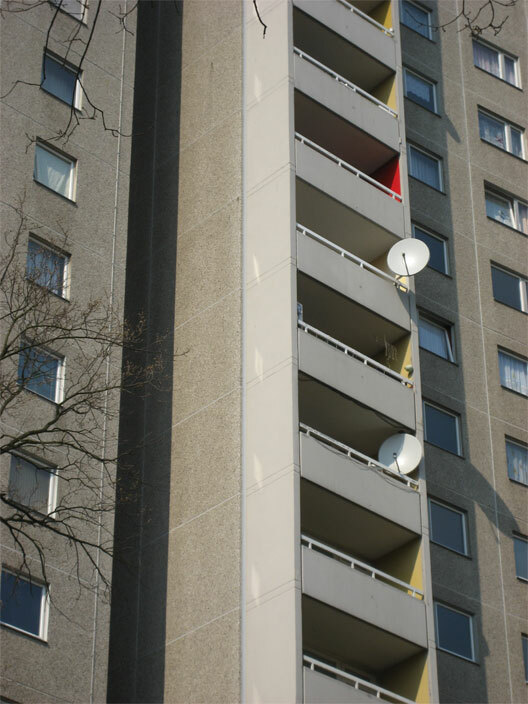 This is the third intervention I completed during a residency in Gropiusstadt, the community on the southern edge of Berlin that was planned in the 1960s by Walter Gropius and his firm, TAC. 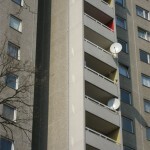 The majority of Gropiusstadt’s 26,000 residents live in high rise apartment buildings. 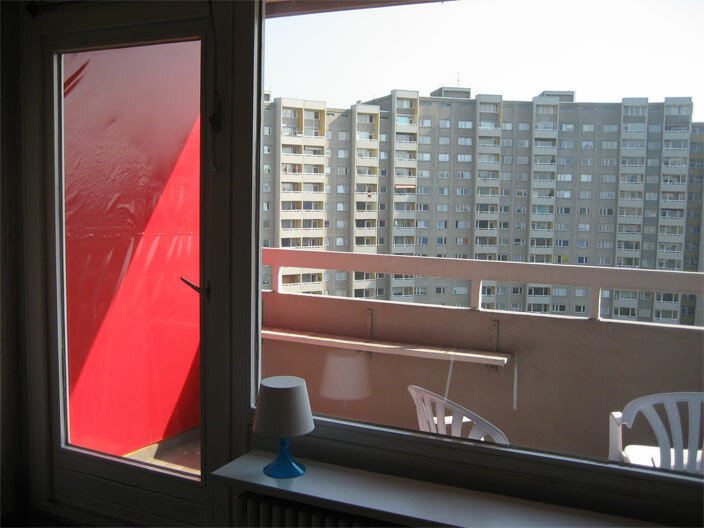 The designs of the buildings differ as they were built by a variety of architects during the 1960s and 1970s, but for any grouping of similarly designed buildings, the exterior wall treatments will be identical. 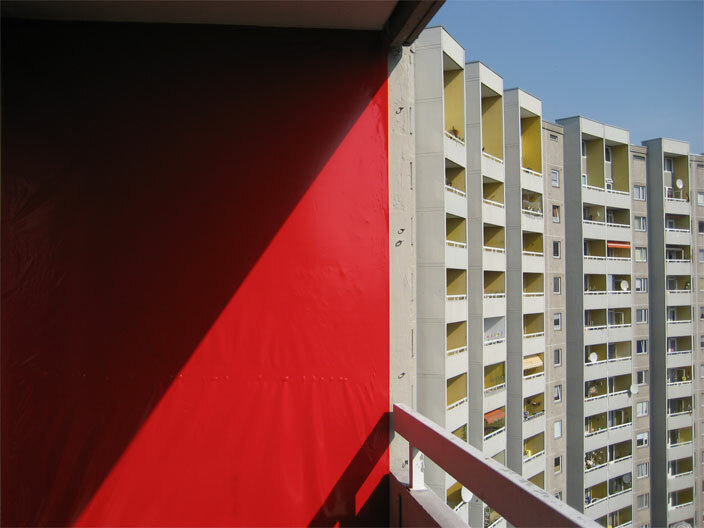 This is also true of the one high-rise designed by Gropius himself, where every porch in the approximately 250 unit building is painted yellow. 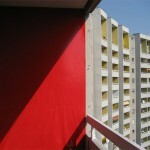 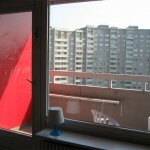 I was living in this particular building when I replaced the regulation yellow porch paint with red.